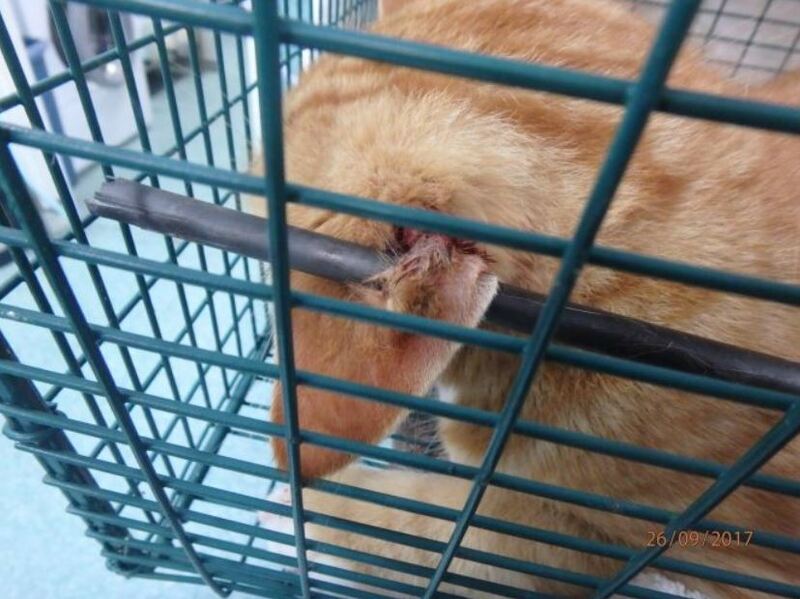 Beau, the ginger cat pictured, was shot with a bow and arrow in Ellenbrook. THE RSPCA WA is on the hunt for a person who shot a cat in the head with an arrow in Ellenbrook last week. 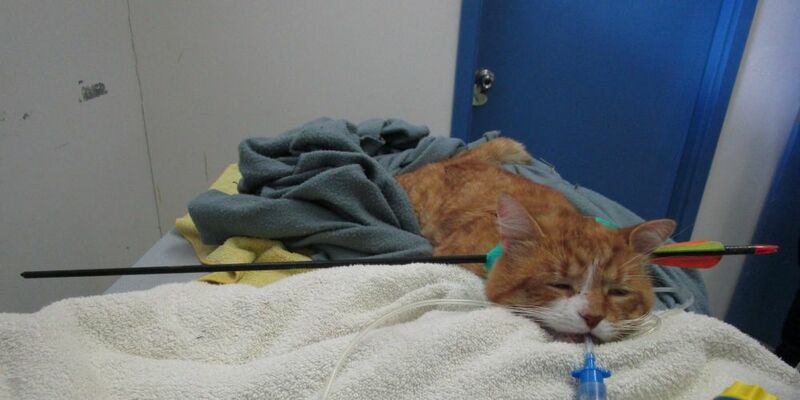 This is the second time a cat has been found injured by an arrow in Ellenbrook. The cat, found on Withnell Drive by a member of the public, has been named Beau. Beau was taken to Ellenbrook Vetwest for treatment. A veterinary examination revealed Beau’s wound was infested with maggots and the arrow could have been stuck in the cat’s head for up to two days before he was rescued. Beau had surgery to remove the arrow and the RSPCA WA said he is recovering well. The cat shot with an arrow in September last year was found on Mussellbrook Trail, about 2km away from where Beau was discovered. This cat was found shot with an arrow on Mussellbrook Trail in September 2017. The RSPCA WA is asking people with information to make a report online or via Facebook.